The current version of top level of football in Sweden has been running since 1924, with Göteborgs Atlet- och Idrottssällskap wining the first ever league title. Malmö Fotbollförening is the most successful team, having won 22 league titles. No team from Sweden have ever won the European Champions League. There is a website that I could pick up some Swedish shirts from but the prices are very high. When they do have sales they never seem to have any of these shirts left. Maybe once I've bought up all the cheaper shirts I'll be able to justify spending £70 on a shirt. Until then though I'll keep my eyes peeled for deals. My three most recent Swedish shirts that I have added to my collection. 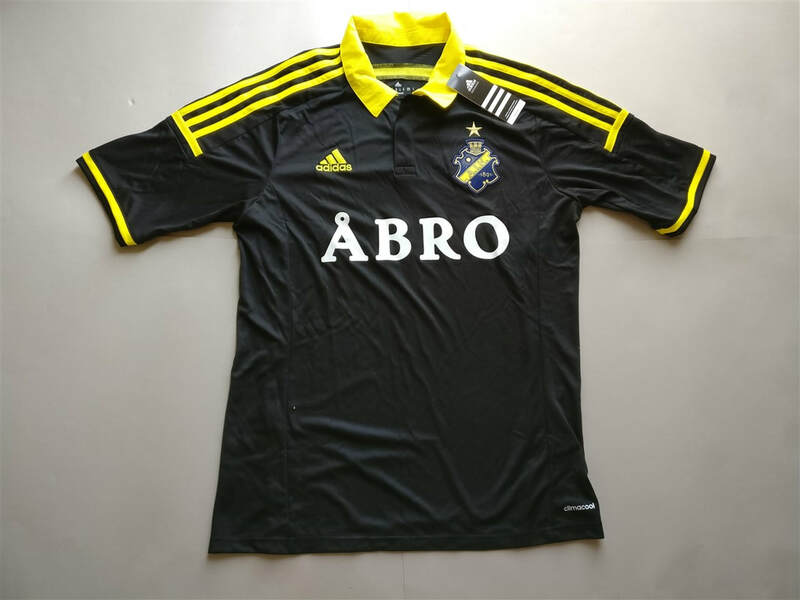 If you are looking to buy a Swedish club football shirt from an official club store then click the link below and it will take you to a list of clubs to choose from.